Here are my views on those F1 drivers from 2014 who didn't make my top 10 ranking that I published a few days ago. 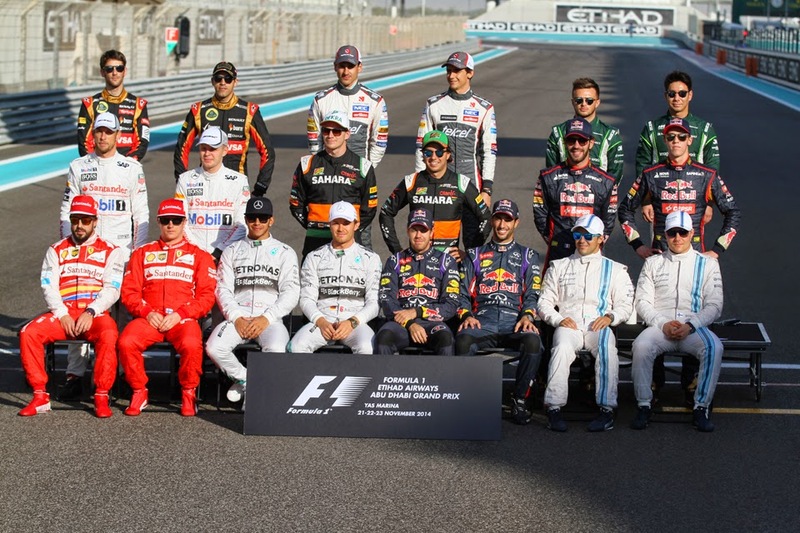 My top 10 drivers of 2014 can be read here. The two drivers who came closest to the top 10 but missed out were Daniil Kvyat and Jules Bianchi. There was close to unanimity that Kyvat was rookie of the season. For all of the fears about how debutants would adapt to the sport, especially the complex variety of 2014, in the Russian's case the doubts immediately were dispelled as he didn't falter in his confident strut straight from GP3 and impressed in just about every way. His speed on show this season was superb, as was his chutzpah. Frequently he could be seen with his Toro Rosso on the very edge of adhesion, often with the tail hanging out. Indeed him finishing the Italian race without brakes for the last lap or so, at astonishing speed and mainly because he could, took the breath away. His team mate Jean-Eric Vergne is highly rated, and this year did a lot to sort his qualifying out, but herein Kvyat was ahead over the piece, and towards the end of the year often he was far ahead. Perhaps most impressive of all is that Kvyat never appeared at all cowed by his rapid promotion - observing him out of the car was like observing a veteran, and his complete assurance (but never of the excessive kind) could on occasion be astounding. And it reminds us all of the mental toughness and constructive approach that Helmut Marko said is what set him apart for the drive in the first place. There possibly inevitably was the odd example of rookie overreaching, such as qualifying prangs in Monaco, Canada and Hungary as well as being at fault for a collision with Perez in Germany. And for all of his single lap pace he didn't appear to have near to Vergne's ability to look after the tyres over a stint, betrayed possibly by him only scoring eight points to his team mate's 22. Equally though Toro Rosso unreliability cost him points in Monaco, Austria and Abu Dhabi, in each of which he was well-placed. And the big Red Bull team felt it saw enough to promote him without the slightest hesitation when Sebastian Vettel fled for Ferrari. Let's not forget either that Red Bull's judgement just lately on such things has been pretty impeccable. 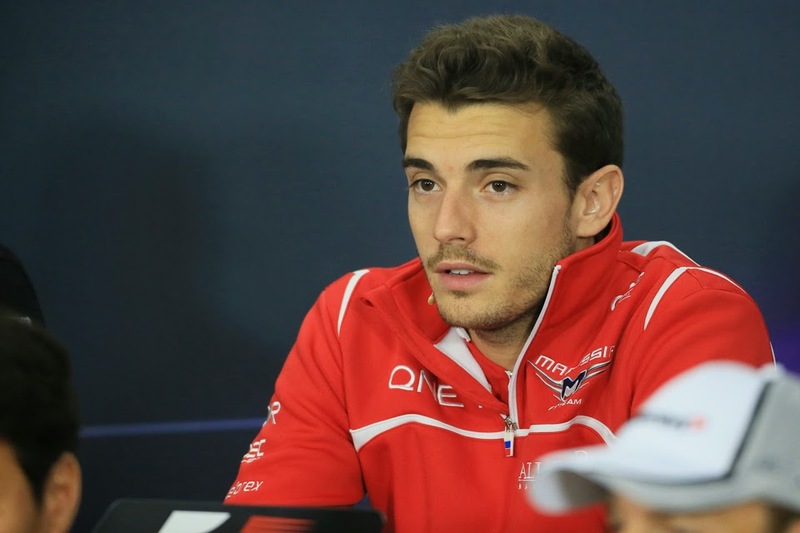 As for Bianchi, this year at Marussia he managed to build on the already haughty structure he'd assembled in a debut season there in 2013. Sadly though his campaign transpired also as one cut desperately short; perhaps always to have a shadow cast over it. A lot like Valtteri Bottas did last year, Bianchi in 2014 had a crucial knack of when in a modest car seizing the rare opportunities to be noticed when they presented themselves. This was most acutely so in Monaco where he was quick throughout, famously squeezed past Kamui Kobayashi with his elbows out in the unlikely place of Rascasse, and of course finished ninth (and eighth on the road) for his team's first ever points. And all this despite a grid penalty as well as his team adding five seconds to his solitary pit stop unnecessarily. In Silverstone he was about as impressive, as in difficult conditions he qualified in P12, aided by others goofing up but the laps Bianchi banged in were excellent. While in similar conditions in Spa's qualifying he was about as effective. While Hungary's qualifying was another high point, Bianchi barging Kimi Raikkonen of all people out in Q1 with a stunning lap at the last. Ferrari's approach there can be (and was) criticised but there was the mitigating circumstance that Jules had himself pulled a rabbit from the hat. In the mid-year test at Silverstone for the Scuderia he also impressed the team and indeed set a time better than any Kimi had managed in the same machine a few days later. Naturally chat about him getting a Maranello race seat sooner or later gathered intensity. But elsewhere too when fewer were watching Bianchi got about as much as could be expected out of his car, and it was routine to see him head the B class on Saturdays and Sundays. There were a few early-race collisions - in Malaysia, Bahrain and Canada - but it was debatable how much any of them were his fault. Then of course we had Suzuka, which left matters for Bianchi, in more ways than one, hanging in the balance. It was a grim reminder that motorsport fates can have exasperating cruelty. An honourable mention should go to Romain Grosjean. Ordinarily his would be a comfortable presence within the top 10, and indeed he remains one of the sport's most highly-rated talents. It's just that a year in the evil Lotus E22 was near-impossible to judge. Nevertheless in the early rounds he looked to be getting as much as could be expected out of his car; perhaps indeed a little more than that. In Malaysia and China he was strong and could have got points without technical problems slowing him. While in the Barcelona weekend in which the Lotus suddenly and for one weekend only worked (in a way that flummoxed the team subsequently) Grosjean stepped up, qualifying fifth and probably he would have finished sixth without his engine losing power mid-race. Still, he got points for eighth. It was a result he repeated in Monaco, and while he benefited from attrition that day his hustling of a reluctant mule around the Principality was impressive. Perhaps understandably there were a few small signs of creeping frustration later. He rather embarrassingly smashed his mount to pieces under the safety car in Hungary, then in Singapore was heard on the team radio trash-talking his Renault power unit. He also collided with Sutil in Russia. Still in Brazil he once again was excellent and unfortunate to be deprived a chance of points after yet again being hobbled by mechanical problems. 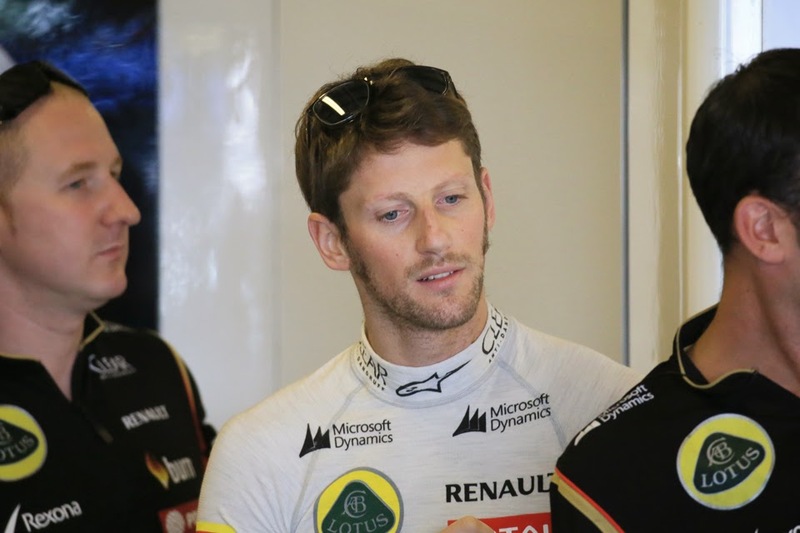 But Grosjean at least can look ahead with confidence. Next year it's impossible to think that Lotus will get it as wrong again while he'll also have the jewel of a Mercedes engine in the back. And as mentioned his personal reputation has survived his annus horribilis intact. To go through the rest in championship order brings us first to Sergio Perez. Following his ditching by McLaren at the end of 2013 this season at Force India Checo managed to steady the ship of his F1 career. Nevertheless there was a touch of more of the same about it for him, in that while there were a few high-tide watermarks there also were plenty more weekends wherein you'd hardly know that he was there. In the former category, in Bahrain he was excellent all weekend, strong on long runs, put in a qualifying lap good enough for fourth then his combative race got him onto the podium, the first non-Mercedes. In Canada too he did well, and in one of his time-honoured one-stoppers it looked for a time that he might even win, though a battery problem kicked in then he was at least imprudent in jinking in front of Massa before their collision on the final lap which put both out. In Austria though he was excellent again, again not for the first time making hay from a back-to-front strategy having started outside of the top ten. Nevertheless a number of tepid weekends elsewhere ensured that come the summer break he remained far behind his team mate Nico Hulkenberg on most measures. But in the second part of the year Perez did rather better, in comparison with Hulkenberg at least, and taking after the summer break only was ahead both on points and on the quali match up. That Force India by this stage tended to employ more stretched-out strategies played more to Perez's skills in looking after the tyres, particularly in comparison to his team mate. His race in Russia was very good, as were those in Monza, Japan and Abu Dhabi. But over the piece, and in another more of the same aspect, there were a few too many misjudgements in there too - in addition to Canada he crashed out in Hungary, collided with Sutil in Singapore while his collision with the same driver on Austin's opening lap was extremely clumsy. 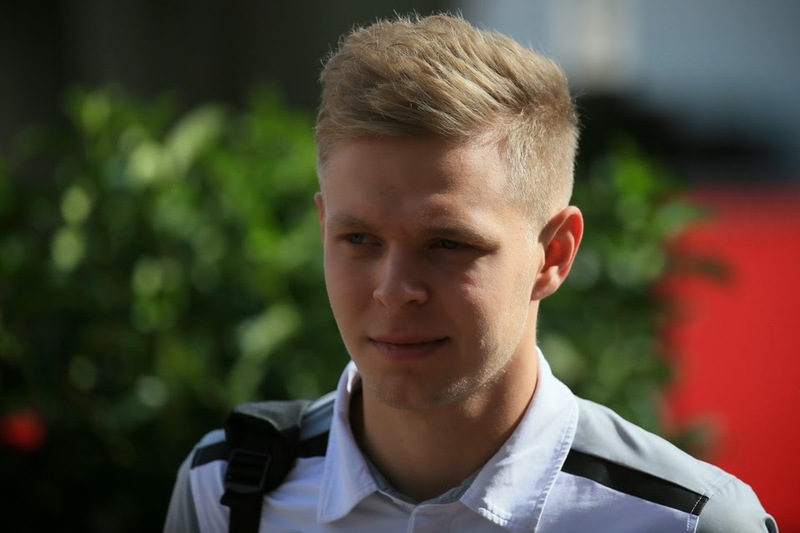 Kevin Magnussen must think an F1 existence is one with the fast forward button forever pressed. In Melbourne he started his freshman year by immediately seizing next big thing status with a flawless debut run to what became second place eventually. But not too long afterwards and almost without an intervening period he was thought by a few as a busted flush. There is a lot of the rough diamond about him; on occasion his pace was stunning and of a clip that his team mate Jenson Button had no answer for, especially in qualifying. But in many races he rather disappeared, possibly related to that he didn't have close to his team mate's ability spread the limited resource of the Pirellis over a race stint. Related to this he totalled well short of half of his stable mate's points, and only three times was he ahead in the race result when both finished (though time penalties took away two more). And for all that we rate his ultimate speed he ended up behind Button on the qualifying head-to-head too. Furthermore he was far from the finished article in how he behaved with other cars around, particularly when he really got his elbows out after the summer break - perhaps driving for his future. It all seemed to get his card marked by the stewards for a time, and while the reputation he established may have been on the harsh side the Dane did indeed a few times push the boundaries, most gaudily in running Alonso off the track at 200mph in Belgium. But with some polishing there likely is a fast, and good, F1 driver in there - Australia we've mentioned while his Austria, Germany, Russia, Japan and USA efforts were all strong as was his raw speed on show in a few other places that were for some of the reasons outlined not converted to good results. There's a lot for him to improve but equally there was enough there to convince that he's too good to be given up on just yet. Kimi Raikkonen was another to have a disappointing season; indeed his was desperately so. And unlike Magnussen's his opening round was a portent, him binning the car in wet qualifying on an in-lap - admitting it was down to a lack of concentration - and never getting near team mate Fernando Alonso. Improvement from then on was glacial and in the main his campaign comprised more destruction by the (admittedly very good, especially in these circumstances) guy across the garage. Indeed only once did Kimi finish a race in 2014 as the lead Ferrari when both made it to the end, and Nando got a penalty that day. Only three times did he qualify ahead. He also peppered his campaign with slightly sloppy errors - in addition to Australia he spun in Canada as well as erred significantly in his big smash on lap one at Silverstone. There was the odd better day - such as on his favoured tarmac in Spa, in Monaco wherein he looked good for a podium appearance until picking up a puncture against Max Chilton as the latter unlapped himself behind the safety car (though Chilton also claimed Kimi cut across on him) as well as in Brazil where the softer than required tyres suddenly gave the Ferrari the front end he craved. But they all rather proved false dawns. We're aware of the lines of defence - that the agricultural Ferrari and its wayward front grip didn't suit his fingertip style, but is it not reasonable to ask that he shows more of a capability to adapt? After all is that not what just about all of the greats have done? Indeed, when was 'the car doesn't suit him' ever said of Moss? Or Senna? Or Alonso for that matter? Still Kimi gets an opportunity to redeem himself next year, largely you suspect because Ferrari wasn't keen to give him a second weighty pay-off. 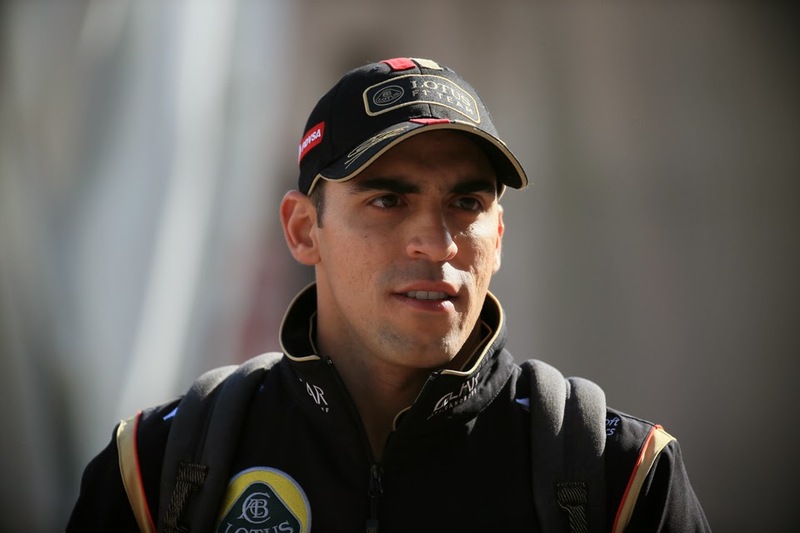 Pastor Maldonado though spent the year being not quite as bad as everyone said. The common associations with his season are his lairy practice mishaps especially those in China (twice) and Spa; each appearing a result of amateurish lack of concentration. His Spain qualifying crash was regrettable too as it was the solitary weekend of 2014 in which the Lotus looked competitive. But less well-recorded is that come the races Pastor tended to keep a lid on his antics - even though just as with Grosjean the awful E22 was no machine to judge him in - and proceed at least respectably until the car let him down. His rap sheet from Sundays consisted of a big misjudgement in tipping Gutierrez into a barrel roll in Bahrain (another error of his that is referenced repeatedly by his detractors), though Pastor was correct to point out that the Mexican slightly confused matters by over-running his entry into the corner. Otherwise he banged wheels with Ericsson in Spain and Bianchi in Hungary. Hardly terrible, in total. But as noted in previous years Pastor has never been one to get much benefit of the doubt from the gallery. He didn't however let that he'd timed his Williams to Lotus move badly (another fact that many didn't let him forget) get him down apparently. Neither that he seemed conspicuously to suffer the worst technical reliability out there. And as for being out-paced by Grosjean for the most part, well Pastor rarely was too far off and we know how highly-rated the Frenchman is. As mentioned the vast majority of his races were solid, and some indeed deserve to be filed under good, such as those in Austria, Germany, Monza, Singapore (where he looked good for points until late on) and then probably his best run of the year got him his first points, for ninth in Austin. Without a couple of penalties he may even have gone one better. Adrian Sutil's continuing involvement in F1 this year was a strange one. Possibly alone he didn't fall easily into the modern sport's three prevailing categories of top-drawer talent, young up-and-comer and pay driver. And the strangeness continued with his slightly curious sideways step to Sauber for 2014. Worse for him the step proved to be one into an open trap door as the C33 was a dog, and one not in the least helped by the poor Ferrari power unit. 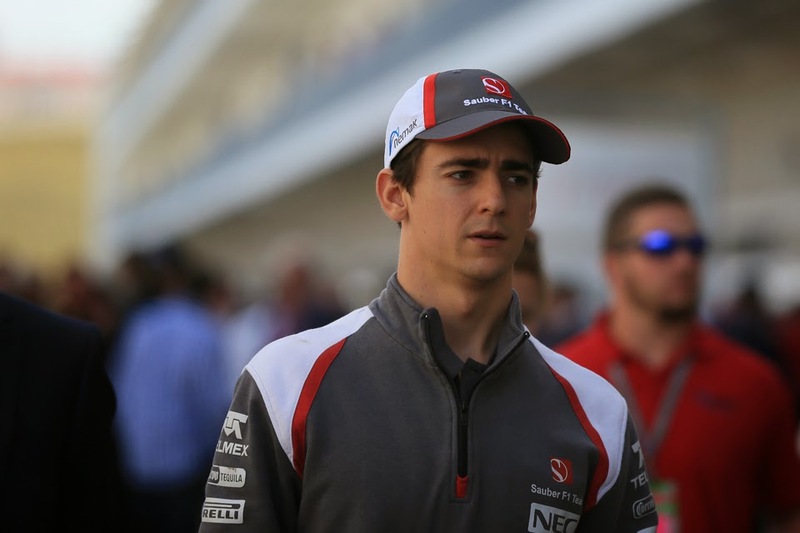 Even so Sutil didn't impress, he almost never left team mate Esteban Gutierrez behind and indeed for much of the year was shown the way by the Mexican. Also, and in a trait that's always dogged Sutil, there seemed a few too many errors and crashes in there, especially for one of his experience. In Monaco and Japan he crashed out, in Singapore looked a little culpable in his collision with Perez and looked similar in colliding with this team mate in Russia. A number of qualifying laps were spoiled by mistakes, including sticking his car in the boonies at Silverstone when the conditions gave a rare opportunity for a high starting slot. Picking high points is near-impossible, though in getting into Q3 in Austin he was superb. But he never got close to that sort of performance elsewhere. He is out for next year, despite his claims to having a contract Sauber has had to dash for cash in its driver selection. But even without this it wasn't especially clear what Sutil was offering. His only future in the sport now is in a possible legal wrangle with his former employer. Marcus Ericsson spent most of the year as F1's pariah of choice, perhaps even more so than Pastor Maldonado. For the first two-thirds of the season it was common to see him hanging off the back of the pack, and when he wasn't doing that he was crashing. Sometimes he was solid enough, but often the gap to Kobayashi seemed too big even taking into account their respective levels of experience. His Monaco qualifying error, taking out Massa as he did so, was noticeable, as was his big smash in the Hungary race. He also crashed in Malaysia, Canada and Britain's qualifying sessions. 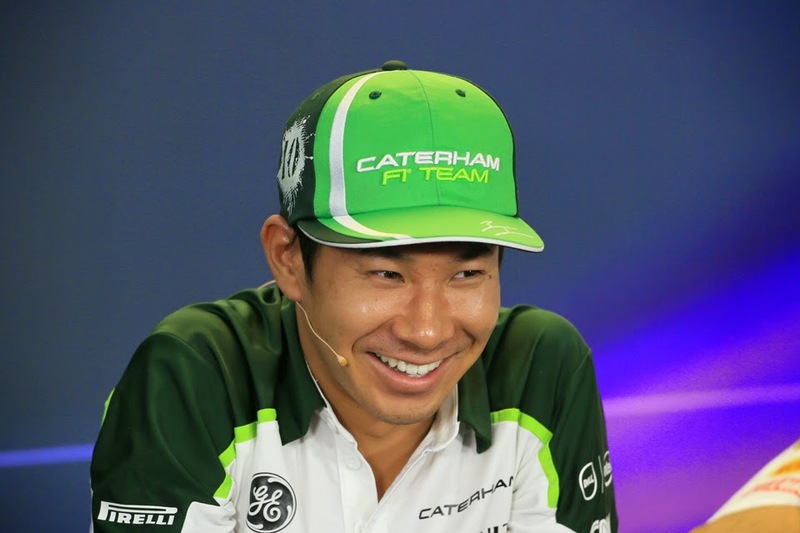 And then he reached his nadir when in Spa and then in Monza it seemed that whoever hopped into the other Caterham at however short notice (first Lotterer and then the returning Kobayashi) was immediately putting heavy manners on him, with best qualifying times around a second quicker than his. The instant response of many was to decry Ericsson as not good enough, but there was nothing in his GP2 record to suggest that he is an idiot (albeit not a world-beater either). But his Singapore race was something of a turning point - qualifying was difficult but in the race he battled hard, and held off Bianchi on much older rubber to for the first time top the B class. Caterham replacing its brakes/harvesting system with something more conventional from before meant the car became much more to Ericsson's taste. In Russia and Japan (despite an embarrassing spin behind the safety car in the latter) he too gave a much better account of himself; all of a sudden beating Kobayashi into the bargain. But then just when it was getting good for him Caterham left us. Nevertheless Ericsson himself will be back next year, at Sauber. It owes a lot of money, with the Swede's backing being hefty - thought to be around $18m, roughly double what Perez brings for example. But still there were also some reasons in 2014 to think that he's not necessarily only as good as his cash. Esteban Gutierrez this year expanded somewhat on his iffy debut campaign. As with Sutil across the garage the evil C33 made it hard to judge him. Yet there rarely was much to choose between the Mexican and his much more experienced team mate; indeed often Gutierrez led the way in qualifying and the races. And some of his runs were genuinely good, particularly late in the season such as in Singapore, Russia, Brazil and in Abu Dhabi. He drove well too in Hungary's treacherous conditions and looked good for points before his car let him down. There were a few times when he looked a bit off it though, such as in Austria and Italy. Furthermore a self-inflicted retirement in Monaco, clipping a barrier, when on for points was a major blot, while an off in Silverstone qualifying then spearing Pastor Maldonado in the race the next day wasn't much better. But it doesn't now look like he'll get a chance to expand any further, with it being all change on the pilot front at Hinwil next year. Gutierrez is one of course whose F1 career was aided by money, thus he had a problem when two guys came along offering more of it then he. Live by the chequebook; die by the chequebook. Max Chilton had one more year of existing rather than thriving at Marussia. Almost never was he on Bianchi's pace in the other MR03, and those fairly rare occasions when he qualified or finished ahead all owed to unusual circumstances compromising the efforts of the Frenchman. Many times Chilton failed to extract the most from his car on a qualifying lap. His races tended to be a little better but they tended to not get beyond solid. He even lost his record of finishing every time in his F1 career, and worse did it with a collision with his team mate, that the stewards blamed Chilton for. He managed to bin it in the Monza race later too. Getting P13 on the Silverstone grid before a penalty was applied was his highlight. His in-out-in again early weekend at Spa, with his management claiming unconvincingly for a time that he was vacating the seat selflessly to let the team raise revenue from it, was the lowlight. Kamui Kobayashi made a welcome return to F1 this season, sealing his drive via the rather novel method of fans' funding. Sadly though he'd have been forgiven for wondering later if it was all worth it as he was merely the latest to find out that a Caterham drive is quite the modern F1 graveyard shift. Not only in a car that's not much good but also lingering in a competitive vacuum, usually far ahead of a team mate there because of cash but not close to other teams either. It's particularly ill-fitting for Kobayashi, who has based a lot of his star on dare-devil racing. It all started well though with his getting through Q1 in Melbourne, but then crashing out of the race immediately with a brake problem was something of a sign of what awaited him. He also did as much as he could in the races, executing them well and being robust but not silly in battle. But it became clear before long that he was on a hiding to nothing. Then of course he was dropped for Spa, which bewildered Kamui as much as anyone. That he jumped back in at little notice at Monza and performed superbly was to his credit. But in Russia he reached a low point, not only by now being shown the way by Ericsson who'd sorted out his car problems but suggesting in public that he'd been asked to park a healthy car in the race so to save mileage. It says a lot about the Japanese though that he helped the team out a few weeks later by driving in Abu Dhabi, when the outfit had nowhere else to turn. Will Stevens too made a surprise appearance for the surprisingly-appearing Caterham in that final round in Abu Dhabi (though in a non-surprise reportedly he stumped up £500,000 for the privilege). And despite being thrown in with no immediate preparation and indeed modest experience of an F1 car in total, he by no means disgraced himself. In qualifying he was only around half a second off Kobayashi's best and while the pace gap was bigger in the race Stevens did better as the afternoon went on. It's a pity though that the Alonso/Andrea Stella radio exchange about him will likely go down in history as his F1 high point. And last but far from least we have Andre Lotterer, possibly the most curious driver appearance of the year. Not because he lacks talent, more that he doesn't lack talent, as demonstrated with his WEC title and three Le Mans victories. And to add to his endangered species status for a debutant he was 32 and didn't bring money. But still he was there in Spa only in a Caterham, and moreover didn't have the habitual not-waving-but-drowning experience of those thrown in at short notice, as he right away looked like he belonged and indeed cut the beam in qualifying a full second under the similarly-equipped Marcus Ericsson's best. His race however barely got going as he lost power terminally in lap two, possibly due to running wide over a kerb. Unsurprisingly given he was in F1's ultimate dead end slot he rebuffed later efforts of the team to tempt him back.